Rodu, J., Klein, N., Brincat, S. L., Miller, E. K., & Kass, R. E. (2018). Detecting Multivariate Cross-Correlation Between Brain Regions. Journal of neurophysiology. 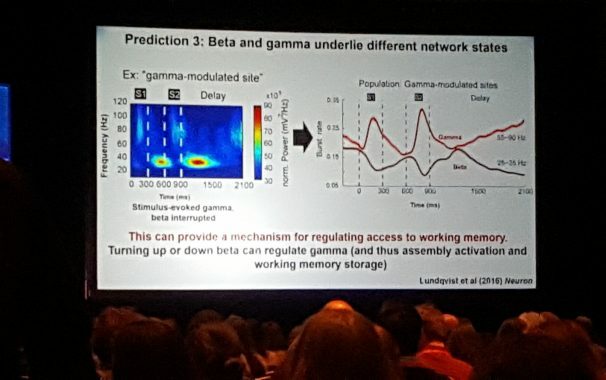 The problem of identifying functional connectivity from multiple time series data recorded in each of two or more brain areas arises in many neuroscientific investigations. For a single stationary time series in each of two brain areas statistical tools such as cross-correlation and Granger causality may be applied. On the other hand, to examine multivariate interactions at a single time point, canonical correlation, which finds the linear combinations of signals that maximize the correlation, may be used. We report here a new method that produces interpretations much like these standard techniques and, in addition, 1) extends the idea of canonical correlation to 3-way arrays (with dimensionality number of signals by number of time points by number of trials), 2) allows for nonstationarity, 3) also allows for nonlinearity, 4) scales well as the number of signals increases, and 5) captures predictive relationships, as is done with Granger causality. We demonstrate the effectiveness of the method through simulation studies and illustrate by analyzing local field potentials recorded from a behaving primate. Congrats to Miller Lab postdoc Andre Bastos for being awarded a prestigious K99 Award from the National Institutes of Health. 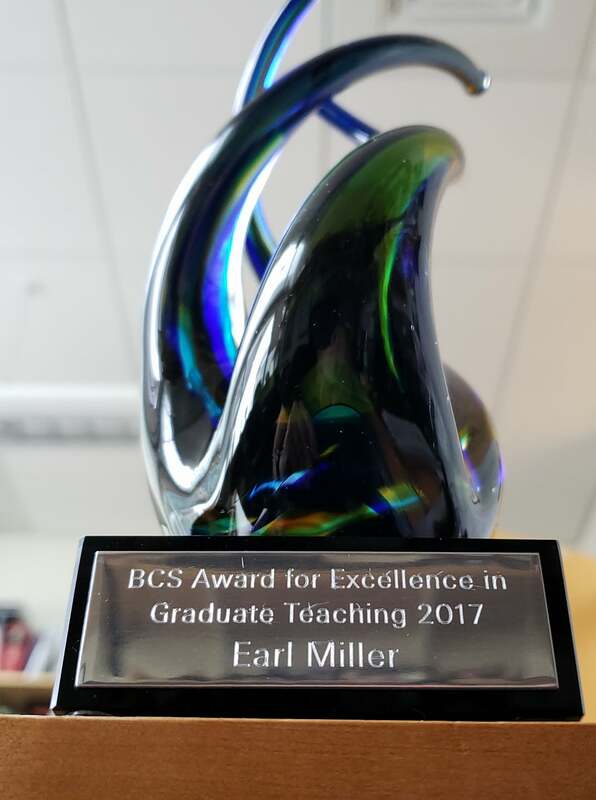 The Department of Brain and Cognitive Sciences at MIT award Earl Miller the 2017 Award for Excellence in Graduate Teaching. Earl Miller offers advice on how to avoid multitasking in the May 2018 issue of Redbook. 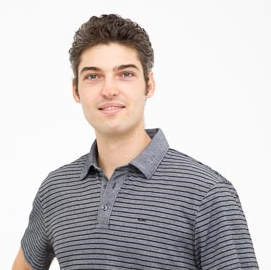 Miller Lab postdoc Andre Bastos selected as an APS Rising Star. Andre Bastos was selected at a Rising Star by the Association for Psychological Science. Indeed, he is. Congrats, Andre! It makes sense because we all know that the bass should guide the lead instruments. Am I right? Lundqvist et al Nature Communications, in press. Stay tuned for what they are about and what they mean. 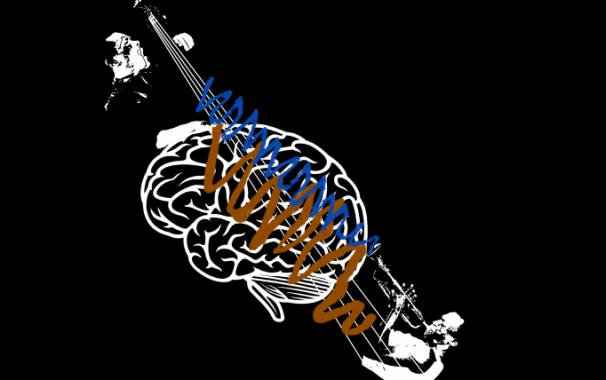 They add up to a new model of working memory.